Create this beautiful classic quilt in a thoroughly modern way! Constructed completely by machine, this quilt is not really a quilt at all. There is no batting, no binding. Once you're finished with the top, you're finished with the whole thing! 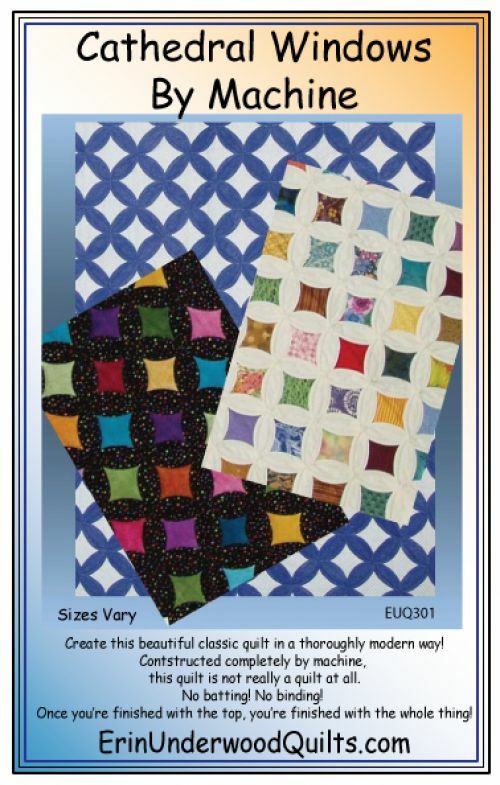 Pattern includes instructions for table-runner, baby, lap, twin and full size quilts.